Salisbury Cathedral is one of my local churches and is so photogenic that it's a pleasure to work there. It is spectacular inside and out as you can imagine. The cloisters provide a convenient location for photographs, and immediately outside there is a vast lawn area to facilitate wedding photography. 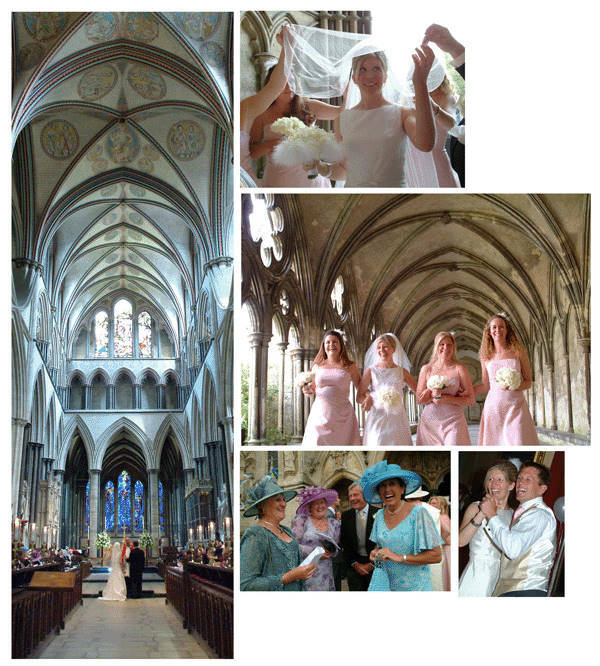 If your wedding is at Salisbury Cathedral - I'll be eager to work for you!